This is a PRIVATE web site for use by Papillon Haven Rescue people in their Papillon rescue work. 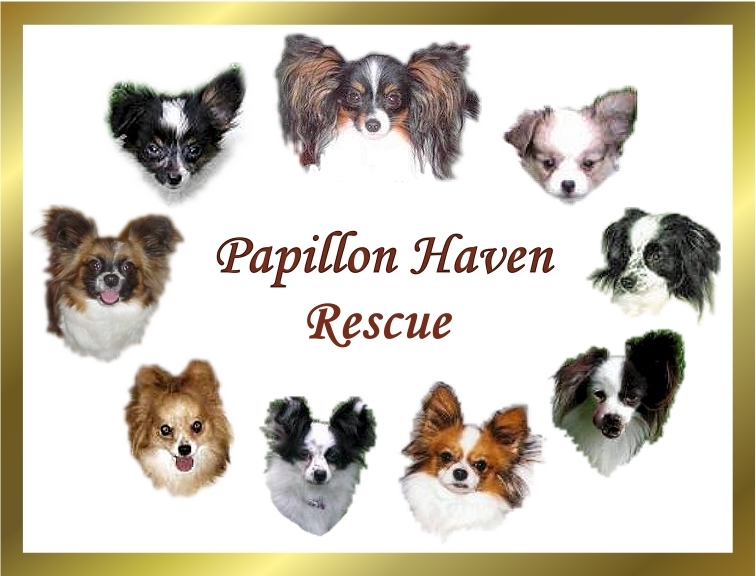 Papillon Haven Rescue is a non-profit organization chartered to provide temporary housing (foster) and rehibilitation for needy Papillons and to place them into loving and secure forever homes. If you are passionate about the welfare of Papillons, feel free to join us. Membership applications are available on our public web site, www.paphaven.org.